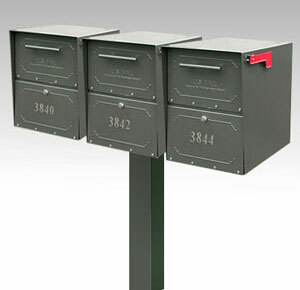 These large locking curbside mailboxes can receive small to medium sized parcels. 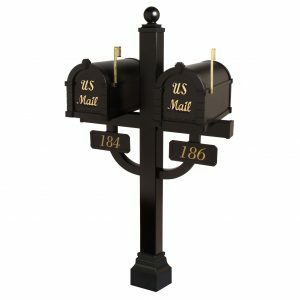 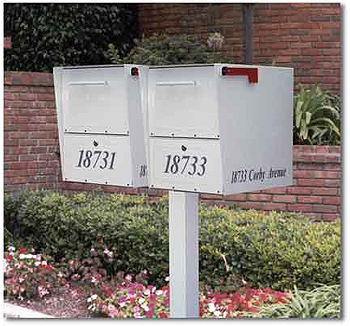 The Large Oasis Mailbox is made of high gauge steel with a powder coated finish and are assembled almost exclusively by spot welding and welded lap joints. The large hopper doors are sealed with rubber to prevent rain and dust from entering the storage area. 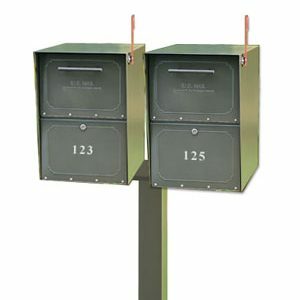 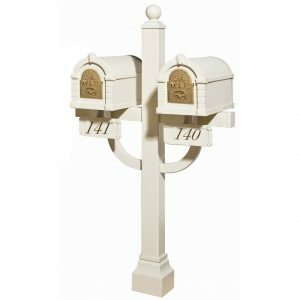 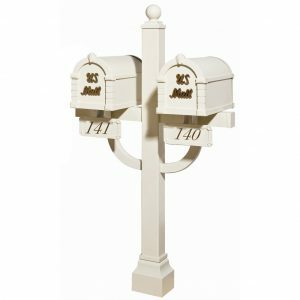 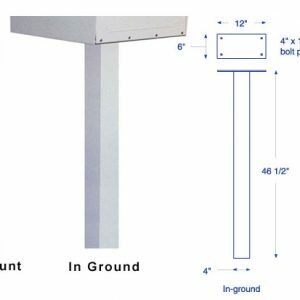 Supporting two Large Oasis Mailboxes, a spreader plate provides a convenient means of mounting two mailboxes on a single post. 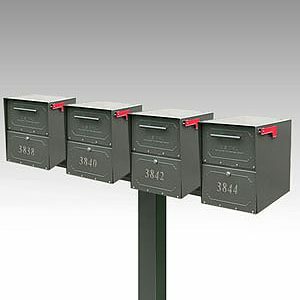 This is ideal for multi-unit applications or where postal requirements dictate centralized delivery. 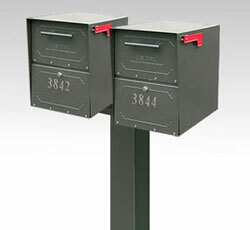 This large locking curbside mailbox is among the very first to be approved by the United States Postmaster General for curbside delivery (USPS Std 7B). 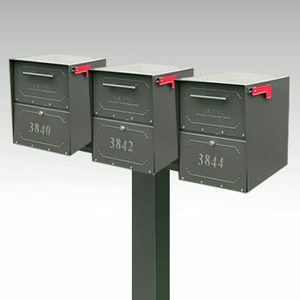 Its unique hopper style incoming door can accept small to medium sized parcels. 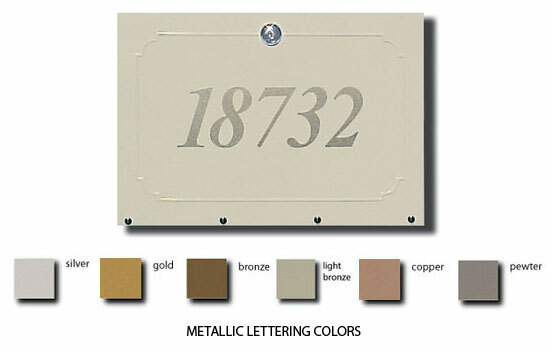 It is finished in a durable powder coat available in pearl gray, sand, white, black and bronze. 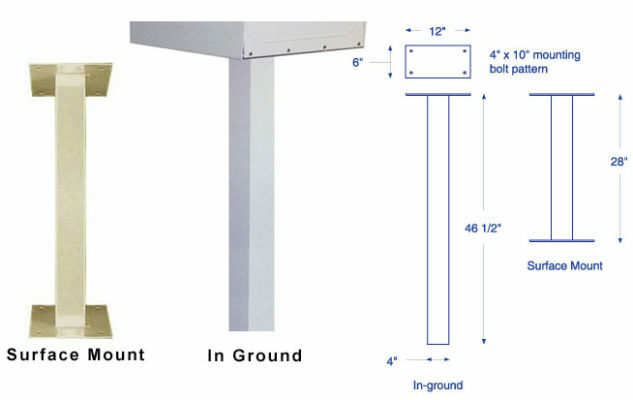 Assembly Hardware: Stainless steel rivets and hinges. Zinc plated assembly screws.